I have lots of favorite stationery shops. Really, lots. I’ve been known to travel (by plane or by train) for pretty paper. One of my favorites is in the most central of places, Grand Central to be exact. I first fell in love with Cursive, when I came across the little nook at ABC Carpet and Home. Next, an outpost opened in Grand Central allowing me to get my cards on the run. And now there is talk of a seaside spot for the summer in Amagansett (Hello, Hamptons). I am tickled pink. If you’re a New Yorker or just in town for a visit, be sure to swing in for some riches. It was lovely chatting with you this week! Cursive is so wonderfully curated—I always find just what I’m looking for. 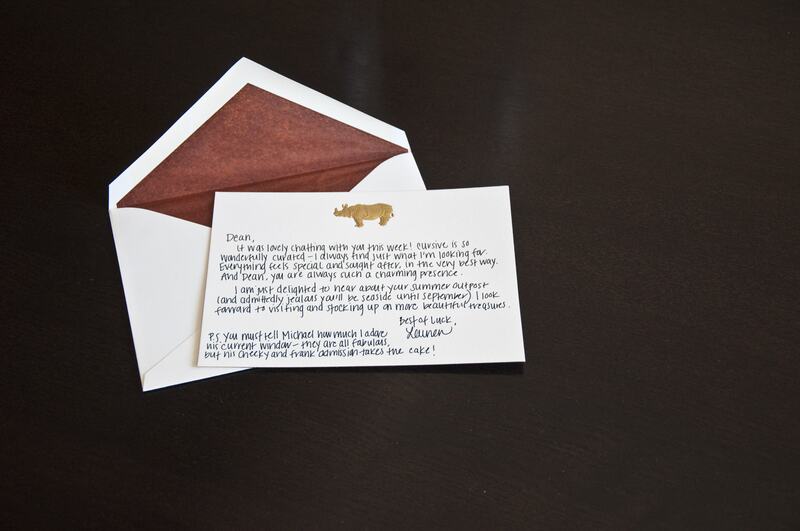 Everything feels special and sought after, in the very best way. And Dean, you are always such a charming presence. I am just delighted to hear of your summer outpost (and admittedly jealous you’ll be seaside until September). I look forward to visiting and stocking up on more beautiful treasures. P.S. 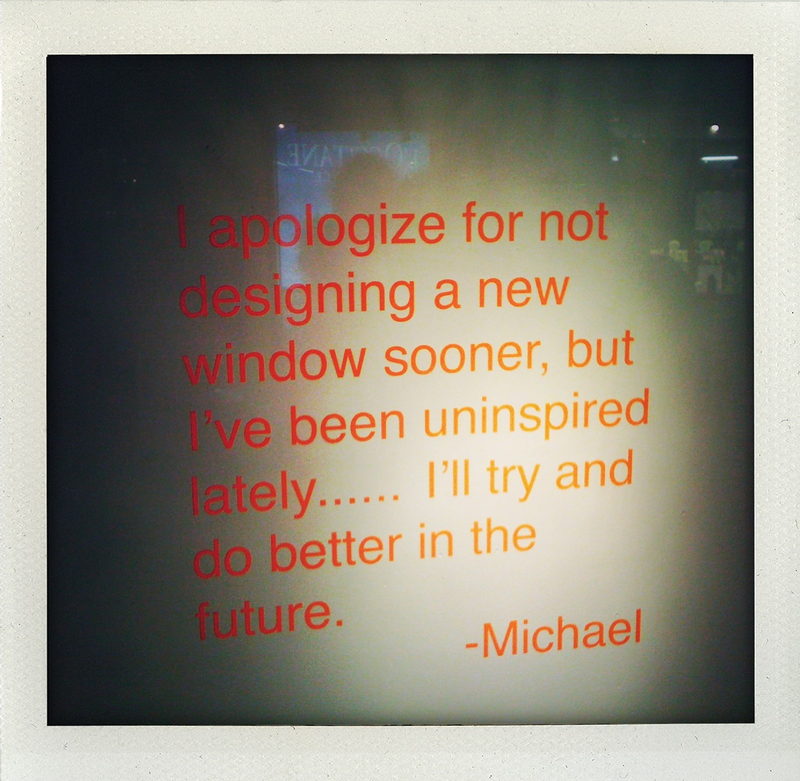 You must tell Michael how much I adore his current window—they are all fabulous, but his cheeky and frank admission takes the cake!